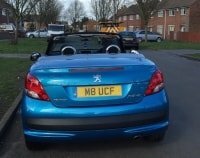 Personalised number plates, sometimes called private reg plates, can be found on thousands of vehicles these days. They’re a symbol of status and a great way to advertise your personal brand. Prices for private number plates vary enormously, but surprisingly, many of the most affordable are within the budgets of regular people. According to the DVLA, more than 374,968 private registration plates were sold in 2017, a 12 per cent increase over the year before. The sale of private registration plates is a boon for UK taxpayers and the government coffers. The DVLA says that through sales of private number plates, it has probably generated more than £2 billion from auctions over the last 25 years, with motorists willing to part with extreme sums of money to stand out on the road. The DVLA holds regular auctions of what it believes are the most desirable plates. These plates, usually only consisting of a few letters and numbers, tend to be exceptionally rare and can fetch more than six-figures at auction - more than the price of most brand new luxury cars. Often, these plates are reserved only for the rarest and most collectable vehicles. Sometimes, though, the agency makes mistakes. For instance, it believed that a rare number plate, “250 C” would fetch up to half a million at auction because it was related to the highly desirable and collectable Ferrari 250 GT California. The predictions of the DVLA, however, were wrong, and in the end, a lucky buyer managed to snap up the plate for a bargain £21,500. When a rare and expensive number plate does sell, it usually makes the headlines. For instance, the Daily Express ran an article on the owner of a limited number plate who was asking for more than £15 million for it (it hasn’t sold yet). For the rest of us, these motor plate auctions are an insight into the lives of the rich and famous, and a taste of what it must be like to command fabulous wealth. 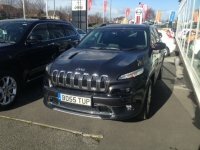 So what are the most expensive number plates ever, and what do we know about the people who bought them? Back in 2009, the DVLA held an auction for the registration plate “1 O” at the Whittlebury Hall Hotel in Northamptonshire. According to the organisers, dozens of millionaires showed up for the sale, some of them in helicopters. The number plate attracted a lot of attention because of its minimalism and the fact that it referred directly to the foundation of the new, digital economy. But the real driving force behind the extraordinarily high price of £170,000 was rarity, the DVLA spokesman said. When you get down to just two figures, prices tend to skyrocket. Who would want a registration plate that said “KINGS”? According to Auto Express, an Arab Sultan. Robert Harverson, a multimillionaire who owns several private planes, repurchased the registration plate 1RH in November 2008, right at the height of the global financial crisis. At the time, the DVLA said that the sale of the plate represented one of the last “jewels in their crown,” meaning that they didn’t expect to sell many more at such a high price in the future. 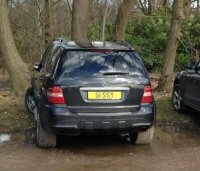 The registration plate, which matches the owner’s initials, is perhaps, the ultimate plate the Mr Harverson could own. The registration plate “51 NGH” might not seem particularly special at first glance (given that it has five figures), but what it spells has cultural significance. Many men in the Sikh community use the name Singh, either as a middle name or a surname. 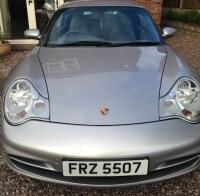 The registration plate was sold in the UK in 2006 for over a quarter of a million pounds. Roman Abramovich has been in the news a lot recently, thanks to the ongoing political saga with Russia, his purchase of Manchester City, and his tax affairs. But despite all these issues in his life, Abramovich remains a stunningly wealthy man, worth more than £8 billion and so he can afford to splash out on nice number plates. Abramovich bought “VIP 1” which used to be used by the Popemobile. Mike Mccomb repurchased the country's fifth most expensive number plate in 2006. Perhaps named after a famous motorway, Mccomb says that he was motivated to buy the number plate for the benefit of his son. But given that his son was only six at the time, we can only assume that he has enjoyed the number plate in the meantime. The registration plate “1 D” sold for more than £352,000 at a DVLA auction at the Ardencote Manor Hotel in Claverdon to Nabil Bishara, a Lebanese property developer. Was Bishara a fan of the pop sensation One Direction? It turns out that he couldn’t have been: the auction took place in March 2009, a year before the band formed. “S 1” was the first plate ever issued in Scotland, and so it was always expected to go for a high price as a matter of national pride. Nobody knows who bought the plate, but later investigations found out that it had been put on an old Skoda - not what anybody expected. The digits “F 1” were sold to Bradford business mogul Afzal Khan back in 2008 for his new Mercedes SLR. A reference to Formula 1, and the Mclaren F1 sports car, the plate was always expected to fetch a high price at auction. Now can you understand why the DVLA thought that “250 C” would sell for a lot of money? The plate “25 O” was purchased in 2014 by the Ferrari dealer John Collins for a Ferrari 250 SWB. The Ferrari itself is a classic and once owned by entertainer Eric Clapton.